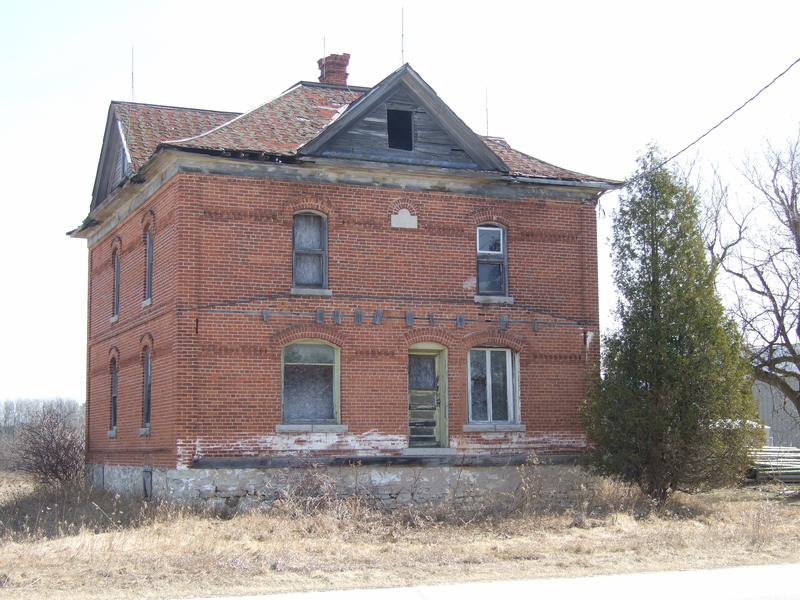 I often photograph abandoned old houses. I map them in my mind, and the next time I drive by, I always look to see if something has changed. Every once in a while, I’m enormously cheered to find that someone is fixing up some once-lovely place. More often, I discover that one wall has caved in, or that someone has razed the place altogether. A few weeks ago I packed my laptop and my cat into the car and headed to Door County, Wisconsin, for a weeklong writing retreat. I’ve been driving this route periodically for almost thirty years, now, and I always look for a couple of special houses. I’m a bit worried about one of my favorites. The original owners must have been good farmers, for even with the red bricks produced locally, these homes weren’t quick and easy to throw together. Mr. Kooser interprets his abandoned farmhouse in the same way curators hope museum visitors interpret artifacts carefully chosen to help tell a story. If you love history but haven’t discovered Mr. Kooser’s work, I recommend Delights and Shadows, or any of his other volumes. I am interested in historic architecture. 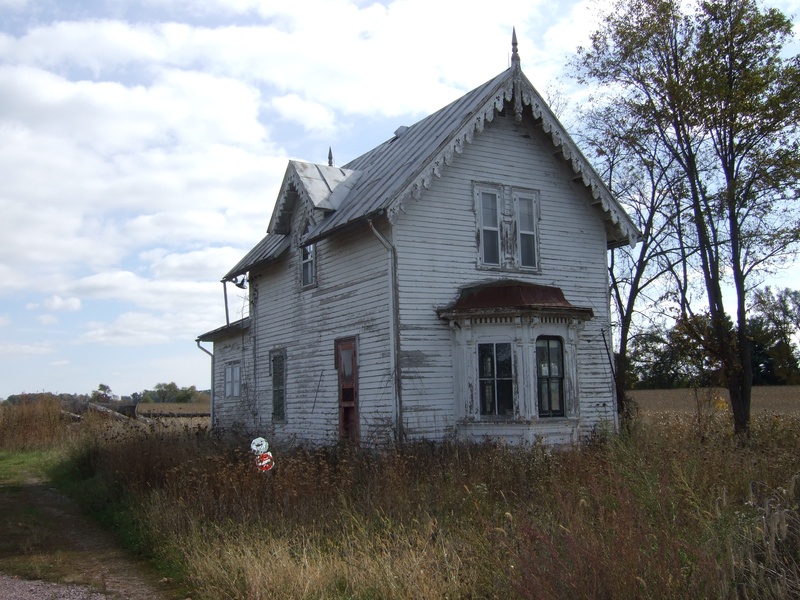 Still, like Mr. Kooser, I think mostly of the people who once lived in these abandoned farmhouses. Who proudly stepped inside for the first time? What joy and anguish did the house once hold? How did the last occupants feel when they moved out? Did they know the house would sit empty, and perhaps crumble into the landscape? I pass this one when I drive toward Lake Delton. Don’t you love the gingerbread trim? Say the phrase “historic site” and most of us think first of a place formally preserved; a place we now need an admission ticket to explore. But historic sites surround us, every day. All we need is a little imagination to bring them to life.